HOMER GLEN, Ill. (WLS) -- A suburban man is accused of trying to kill his dog with an ax after it bit his 6-year-old son. 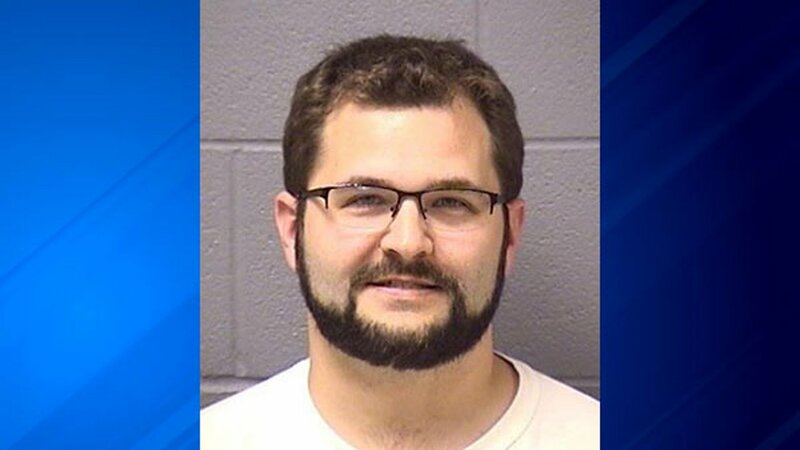 Charles C. Kazukauskas, 34, of Homer Glen, was arrested Friday and booked into the Will County Jail on one count of aggravated cruelty to animals. According to the Will County Sheriff, a veterinarian called police on May 22 after Kasukauskas brought his German shepherd in to be euthanized. The vet told police the dog had a large wound on its head and shoulder. Kazukauskas allegedly admitted to the vet he had attempted to kill the dog after it bit his 6-year-old son earlier that morning. Authorities said the child was treated for a puncture wound to the forehead and released. Kazukaskas allegedly told Will County deputies that he hit the dog three times, but "realized he was unable to kill the dog himself." Will County Animal Control took custody of the dog's remains for testing. Kazukauskas was released after posting $7,500 bail of his $75,000 bond.